Attendees at the Indaba 2013 travel show in South Africa used Poken’s NFC social networking platform more than 60,000 times a day to digitally exchange documents and share business cards, the NFC connectivity specialist reports. The 11,458 Indaba attendees were able to use either Sony Xperia phones or Poken’s NFC USB sticks and tags to collect information and share their contact details through the event’s Indaba Connect system. Overall, 14,528 documents were collected and 240,000 business card exchanges were made, says Poken. 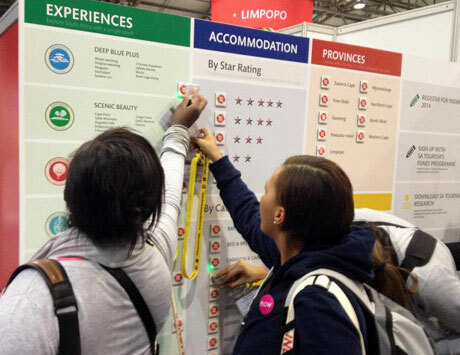 Sync stations deployed by South African Tourism at the event allowed attendees without an NFC phone to see information collected with their Poken NFC device on their mobile phones. Can you recommend any NFC phone suppliers (in bulk)?